*Back in stock. 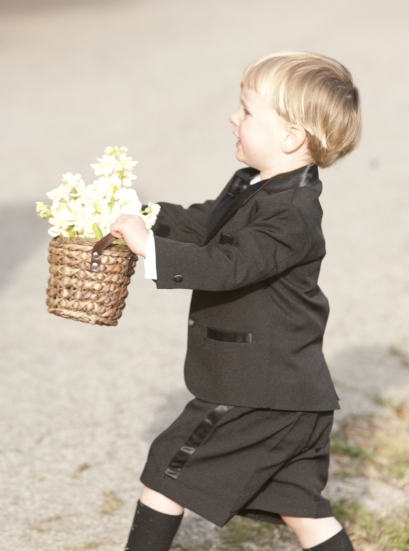 * A most often requested wedding suit with shorts for boys. 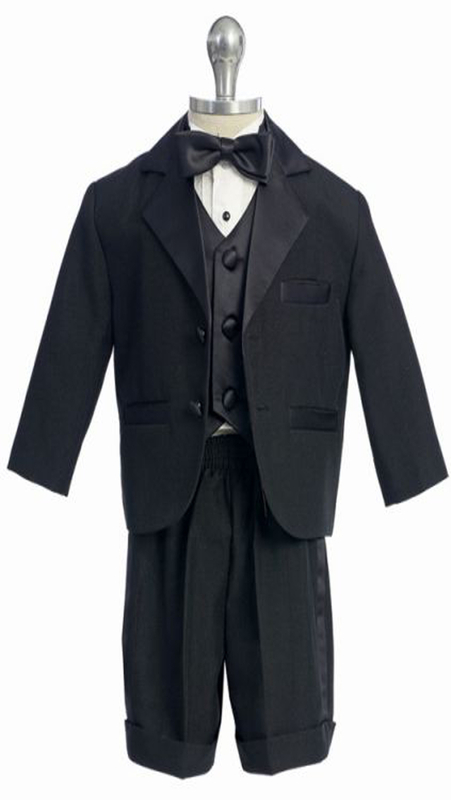 This 5-piece tuxedo suit with shorts is a formal look with a youthful touch. The notch tuxedo has 2 satin buttons, a satin notch lapel, and satin welt pockets and is made of high quality 100% matte polyester. The white tuxedo shirt is cotton poly and has tuck pleats and a wing tip collar. The shorts have an elastic back, cuffs and a side leg tuxedo stripe. Also included is a black satin banded bow tie and black satin vest. From Fouger USA. 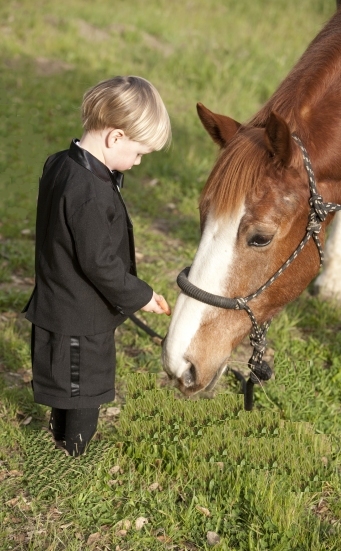 This tuxedo suit runs true to size. Check the FO Suits and Vests Size Chart. Note - Allow 3-4 business days prior to shipment and add shipping time in transit to this.